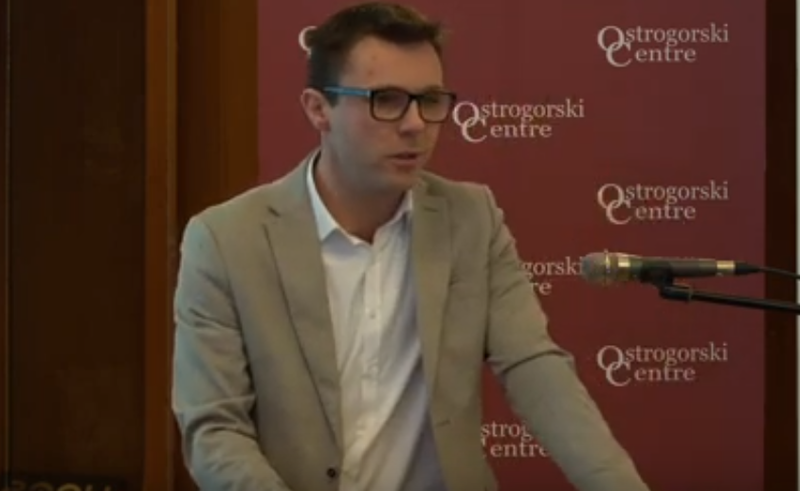 The Ostrogorski Centre presents a new analytical paper ‘The Modernisation and Development of Belarusian Higher Education Institutions Based on the Entrepreneurial University Framework’, written by Radzivon Marozau. 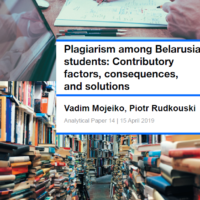 The paper primarily based on suggestions made during a conference on reform of Belarusian higher education held on 27 December 2018 in Minsk, organised by the Ostrogorski Centre. Dedicated to the issues of higher education and its reforms in Belarus, the conference allowed academics, practitioners and administrators to discuss the existing problems and possible solutions. The main topics concerned new forms of practice-oriented business education at the masters level, modernization of higher education at entrepreneurial university framework, reforms of Belarusian scientific research, and the issue of plagiarism at Belarusian universities. The analytical paper suggests that the Belarusian government should address the challenges of a largely unsupportive institutional environment before expecting entrepreneurial outcomes from HEIs. Moving towards entrepreneurial HEIs requires changes in employment structures, including matters of promotion and remuneration, at Belarusian HEIs. and Management of Technology, part of the Belarusian State University. In most developed countries that have reached the innovation-driven stage of educational reforms, higher education institutions (HEIs) accept a new mandate to become key drivers for knowledge-based, socioeconomic development, thereby transforming themselves into entrepreneurial HEIs. The Ministry of Education of Belarus initiated an experimental project on the implementation of a «University 3.0” model, trying to replicate the success of Western HEIs in its development of the entrepreneurial mission. However, the implementation of this experimental project had to be transparent to the whole HEI community and be conducted in close collaboration among stakeholders. Apart from that, target indicators for HEIs set by the state should be reconsidered and reconciled with the experimental project’s goals. The research paper proposes several initiatives to be implemented to develop an entrepreneurship-friendly environment at the state and HEI levels. However, it should be acknowledged that success stories of HEI transformation in transition economies are rare and were managed by an HEI itself rather than a government. Policy initiatives need to be clear in their objectives, tools, benefits and outcomes as well as be evidence-based and open to discussion. The lack of transparency leads to misunderstanding, ignorance, resistance and speculation. Thus, due to wrong assumptions and absence of clear indicators, some Belarusian HEI authorities claim that they have already implemented the “University 4.0” model and are ready for “University 5.0”. Comprehensive initiatives in this sphere should be developed and implemented in close collaboration with the Ministry of Economy that is responsible for entrepreneurship, business environment, entrepreneurial infrastructure as well as the State Committee for Science and Technology. For example, the Ministry of Economy may promote preferential terms for HEI-based enterprises. This may stimulate business creation by students and faculty as well as to bring established businesses to an HEI for spin-off development. The Ministry of Education should promote entrepreneurship-oriented educational trajectories that enable students and faculty from different departments to work together on real-life projects. Study plans of different specialities should stipulate joint, well-structured and formalised academic courses related to entrepreneurship and innovation whereby mixed teams of future engineers, physicists, biologists, web-designers, managers, PR specialists could develop business project proposals or even prototypes. The state should reconsider the key target indicators for HEIs such as the growth of labour productivity and export of service, the percentage of graduates who get obligatory first job placement, and similar current indicators. Instead, within the experimental project, it is worth monitoring such indicators as the number of start-ups/spin-offs founded by graduates/faculty members; the number of patents, licences, trademarks co-owned by an HEI, income from intellectual property; the number of R&D projects funded by enterprises, or number of joint international R&D projects and educational programs. The state should stimulate the development of entrepreneurship centres as organisational units at HEIs – “one-stop shops” or “single front doors” for students, faculty, and businesses. The entrepreneurship centres could integrate and coordinate the entrepreneurship-related activities within an HEI in order to increase their impact and the visibility of these activities. The Ministry of Education should initiate the inclusion of “University 3.0”-agenda in business and strategic plans of HEIs with concomitant funding allocation and indicators. An HEI’s strategic plan should empower entrepreneurial actions, synergies and cooperation among individuals, organisational units as well as HEI business relations. 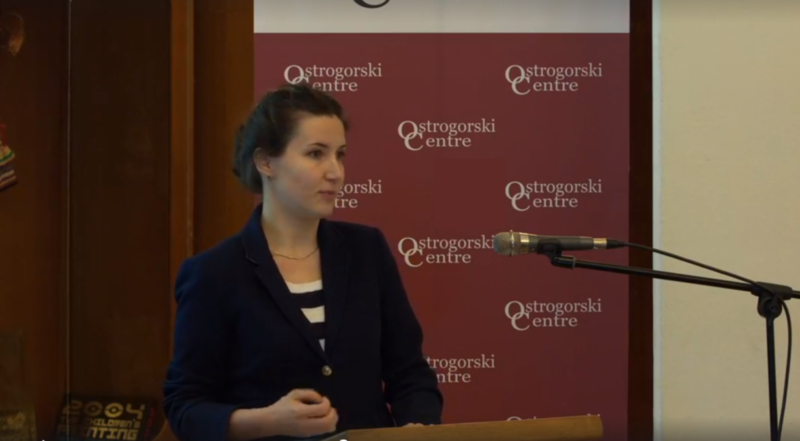 The Ostrogorski Centre presents a new analytical paper ‘New forms of practice-oriented business education at masters level in Belarus’, written by Natalja Apanasovich. Dedicated to the issues of higher education and its reforms in Belarus, the conference allowed academics, practitioners and administrators to discuss the existing problems and possible solutions. The main topics concerned new forms of practice-oriented business education at masters level, modernization of higher education at entrepreneurial university framework, reforms of Belarusian scientific research, and the issue of plagiarism at Belarusian universities. The analytical paper suggests that Belarus faces a potentially serious shortage of managers and business leaders with appropriate skills and competencies. While Belarusian executives identify problem-solving, self-management and critical thinking as the most important soft skills to succeed in business, these skills remain the most difficult to find in the recruitment pool. In order to bridge the gap between workforce supply and demand, Belarusian educational institutions should develop and implement new practice-oriented approaches and forms of teaching and learning. 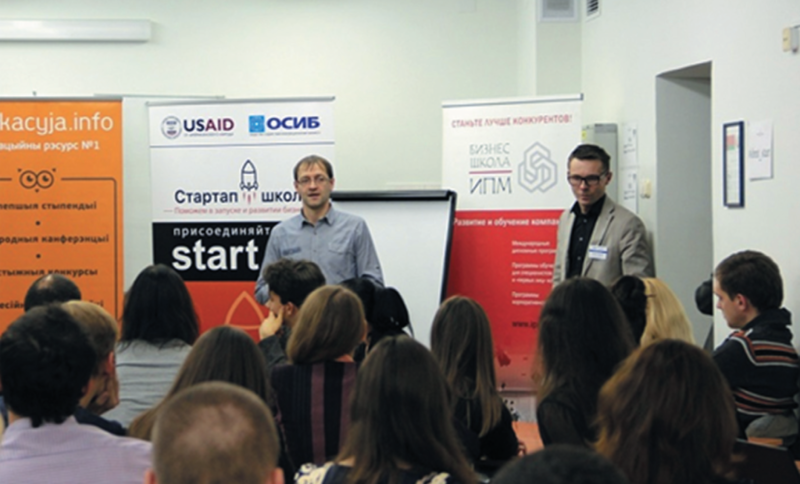 Moreover, practice-oriented business education in Belarus and other post-Soviet countries can positively contribute to the transition to a market economy and the process of catching-up with highly-developed countries. 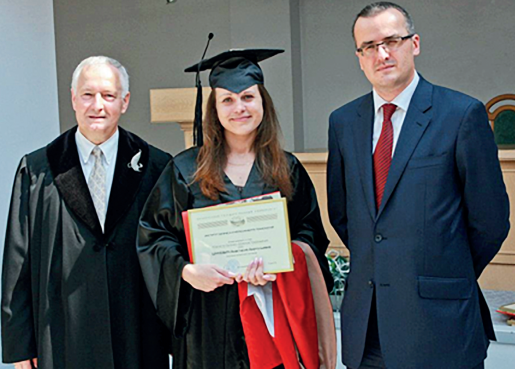 At the same time, Belarusian higher education institutes (HEIs) need to take a large stride to catch up with Western HEIs in terms of creating high-quality graduate business education programmes. Consequently, Belarusian business education masters degree programmes, as well as business schools, need to have official status and the normative base to be separated out from the traditional academic system. Promotion of international business school accreditation would be a stimulus for both educational institutions and state bodies to develop the business education system. Since business education is expected to foster the development of business skills, traditional lectures, seminars and tests apparently no longer work. At present, Belarusian business education is far too integrated into the traditional academic system of higher education. As a result, management education is regulated by a multitude of norms and instructions issued by the Ministry of Education, which do not take into account the specificity of business education and often come into direct conflict with the current demands of the labour market and world-recognised forms of business education. Within the framework of the established educational regulations of HEIs, it is very difficult, for example, to switch to a credit-based modular system for organising the educational process, make significant use of distance education technologies, and implement innovative teaching technologies and methods. At present, formally, according to national legislation, there is no difference in hiring specialists with the bachelors and masters degree. Similarly, the legislation does not differentiate these two groups in terms of salaries that are important to the state-owned organisations and enterprises. Hence, the graduate business programmes are seen as highly academic but with limited value in management practice, driven by academic regulations rather than real-life issues. Masters programmes in business that operate at HEIs should have the freedom to invite lecturers as they see fit. However, it should be admitted that this might increase the cost of education. Graduate business school programmes require timely insights from employers in order to ensure the skillsets they focus on are in sync with current market demands and therefore establish careers centres for their graduate students to support them in their career decision making. Most HEIs have careers centres, however, they provide basic career services mostly for bachelor students. Masters students and graduates require a different approach to career development, tools, internships and job searches. In addition, such centres may serve as intermediaries between business and education that often speak different languages. More emphasis needs to be given to practice and teamwork than to theory, using fewer ready-made solutions. Teaching methodology should be shifted towards more student-centred learning. More enterprising and action-oriented approaches and activities aimed at developing critical thinking, problem-solving as well as cross-disciplinary projects should gradually supplant traditional passive methods of education. HEIs have to skip traditional passive methods of education and stop “feeding” learning material to students. Less lecture time should be spent on theoretical material and more time on the analysis of real situations or cases. Particular emphasis should be given to practice and the creation of a more practical teaching format. The study shows the most effective forms of education for the development of soft skill are: case studies, business simulations, meetings with business representatives, and students’ participation in consulting projects. Business needs to be built into educational processes. First of all, this represents a departure from classic business cases towards the analysis of real examples from current business practice. Masters students as course assignments should undertake consulting projects, the results of which are visible by the end of a course and can be counted towards the final grades. Students’ internships, alongside visits to different regions and countries, enable students to open their minds and think out of the box, as well as to develop their communication and self-management skills.